1. Why should I book a tour through Ephesus Travel Guide? Can't I do my own tours? Of course you may be able to arrange your own tours, but why would you want to? When you book a tour from Ephesus Travel Guide, transportation and most importantly the services of a well-trained local tour guide is included. You're also assured that you'll see the most for your money. By booking a tour through Ephesus Travel Guide`s selection of excursions, you'll also save time and money. We've done all the thinking for you. You'll spend less time doing research and more time having fun. You get to choose from the very best and most popular tours in a port of call based on your interest and escorted by local experts who are familiar with the port, it's history, and culture. 2. What do tours include? / Are your drivers also the tour guides? Tours include transportation according to the itinerary and your tour guide. Drivers are seperate than tour guides. While your tour guide is making commentary about the sites and culture of the area. Your driver will stay by the vehicle. You will enter Ephesus from the upper gate and walk down the hill. Your driver will meet you at the lower gate. You will save a lot of time. We do not include entrance and parking fees in our tour costs since you may want to modify the tour during your visit. If requested we can also provide you entrance and lunch included packages. 3. How physically challenging are tours? Most tours require some degree of walking; however, some excursions require extensive walking. Whatever your fitness level, we highly recommend comfortable, low-heeled walking shoes. 4. How should I tip our Guide/Driver? Extending a gratuity to your guide or driver is strictly optional; however, in Turkey, these personnel may anticipate that if you were pleased with their services, you will reward them in a monetary way. A commonly accepted guideline is 3 Euro per person for a half-day and 4 Euro per person for a full day. 5. Where to meet our guide at Kusadasi Port or Izmir Port? How do I recognize our tour guide at the port? 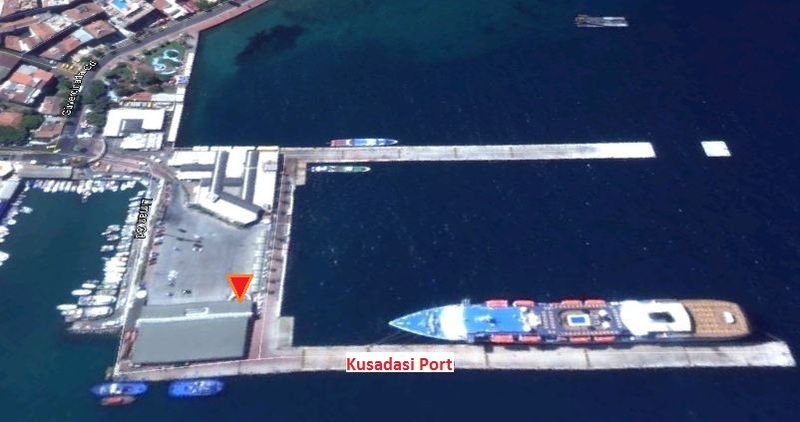 Your private tour guide will meet you in front of Kusadasi Port or Izmir Port Passenger Terminal. He or she will holding your name sign. On the right pictures please take a note of the meeting points. Guests should wear comfortable walking shoes at all times. When visiting ruins or walking on cobble stone streets, wear rubber-soled shoes. It's also smart to wear a sun hat. There is no need for a head scarf for the visit of House of Virgin Mary or Isa Bey Mosque. 7. Will I have time to shop? Shopping time is allocated within the framework of the excursions. Shopping visits are not scheduled in our tours. Depending on the time, you may be offered options. Shopping stops during tours are not made unless the guests wants. 8. Are your tours the same ones offered by the Cruise Lines? Cruise Lines offer similar tours, visiting the same sites. The biggest difference is that you will be met by a private representative on arrival, reserve in advance and save time and money. 9. Why should I book Tours with Ephesus Travel Guide instead of booking onboard the cruise ship? Save Money - these tours are 30 - 40% lower than you'll find on ship. Avoid long lines at the Ship's Shore Excursion Desk. All tours planned and confirmed before you sail. No chance of a sell out like on board ship. Full refund if tour is cancelled for bad weather or the ship misses port. 10. How reputable is Ephesus Travel Guide? Very. EphesusTravelGuide.com is a web trademark of Transbalkan Tours Ltd. which has been providing tours since 1963. Transbalkan Tours have a wonderful reputation. EphesusTravelGuide.com is confident that customers will enjoy the same tours that you'd find on a cruise ship at lower prices and with more convenience. 11. We've never been to Ephesus and want to do as much as possible? The local guides are considered top experts on local history and sights, offering you a chance to fully appreciate and experience their hometowns. The listed excursions are designed and organized in such a way as to maximize your time and yet allow sufficient free time as well. 12. What type of transportation is used for the tours? 13. What was the official language of the people of Ephesus? At the time of Ephesus, Greek was the common language. Greek was the international language used across the Roman Empire, despite the official language being Latin. Therefore all the laws were written in both languages. 14. Am I travelling with a group on the tours? We only provide private tours. You will be the only ones in the vehicle besides your personal tour guide and your personal driver. 15. How do I pay for my tour, what is the procedure? Payment can be made in Euro or US Dollar cash at the end of the tour. There is no prepayment required. We do not accept credit card payments. 16. Do we need to have a Turkish visa? Cruise ship passengers calling to the Turkish Port of Calls are considered as in-transit therefore you do not need to have a visa. You can cancel a tour 72 hours in advance of your tour departure without any charges. If you would like to cancel a tour, simply send us an email and we will be happy to assist you. Once you are within the 24 hour tour departure window, the tour becomes non-refundable. This is because our guide and vehicle have set aside space to accommodate your request and will often not be able to fill that space with another customer so close to departure. 18. Would there be a charge if I miss my tour because the ship is late or cannot make it into port? There would not be any charge if you cannot make a tour departure due to a ship delay or a missed port call. You will of course also receive a full refund if weather or an equipment problem prevents delivering the tour. 19. Is there a risk of missing the ship if I don't book through the cruise line? No. 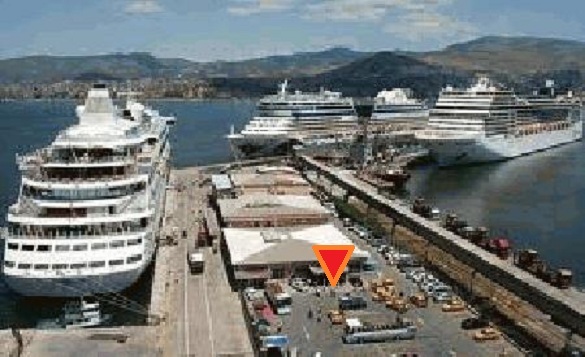 Although the cruise lines would like you to believe that independent tours carry this risk, we are very well aware of your ship's departure time, and our tours are designed to get you back to the ship with time to spare and until today none of our clients missed the ship by being late getting back to the ship. 20. What are Ephesus entrance fees (admission)? 21. Do you buy tickets in advance? There are never long lines at the sites therefore tickets can easily be purchased at the sites. Majority of the sites accept credit cards. 22. Do we have to pay tickets for the tour guide? No, there is no charge for the tour guides at the sites. 23. How expert would our guide be and what are the details of the sights we would visit in Ephesus? The guide which will be assigned for your private Ephesus tour is licensed by the Ministry of Culture and Tourism. To obtain this license one has to attend 2 or 4 years university programs that includes archeology, history... classes. Our licensed guide will be with you at all times during the tour and will inform you about the archeological, historical and cultural facts of the area. They are expert guides who do this kind of Ephesus tours approximately 200 times a year. They are not archeologists but they are expert guides who will provide as much as information that an archeologist can do. Suggested visit time is 2 hours. This may be longer depending on your interest, pace and the number of people a head of you. Your Ephesus Tour will start at the upper gate (Magnesia Gate) and you will walk down the hill and at the lower gate of Ephesus. 24. What are the opening hours for Ephesus? Ephesus is open everyday. Visiting hours vary depending on the season. 25. Who wrote the letter of Ephesians? Letter of Ephesians was written by St. Paul while he as prisoned in Rome. Before the execution he also wrote two letters to his companion Timothy. While Paul was in Ephesus during 53-56AD he wrote the letter to the Corinthians. Corinthians No.1 is written while Paul was in Ephesus. 26. How much time does it need to visit Ephesus? It totally depends on you. Our tour will start from the upper gate and you will walk down the hill. The tour of Ephesus will end at the lower gate. Depending on your interest, pace of travel and the traffic in front of you, the duration of the visit vary. Normal circumstances our tours take approximately 2 hours. 27. How long did Paul stay in Ephesus? It is believed by the Biblical scholar that St. Paul came to Ephesus towards the end of his second missionary journey with his companions like Timothy, Silas, Aquila, Pricilla and probably Luke the gospel writer. Promising them he will go back to Antioch and came back to the city of Ephesus in year 53AD. He stayed over 2.5 years in the city of Ephesus till the riot by Demetrius the silversmith started at the Grand Theater of Ephesus. For more information about the biblical history of Ephesus please click here. 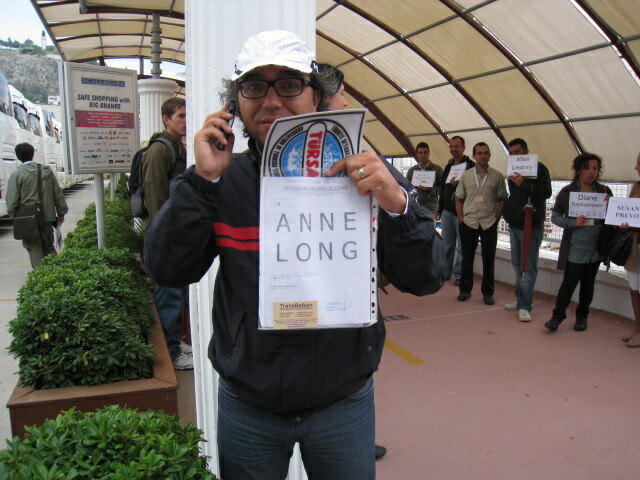 Our Tour Guide will be waiting for you at the port with your name sign.